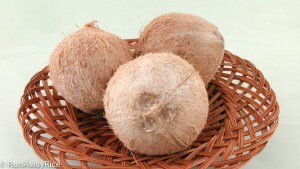 Whole Coconuts – the lighter the outer covering, the younger the coconut. Daunted by the thought of opening a fresh coconut? Worried you may chop your hand off? Fear no more friends, it’s not as difficult as you may think! In the below video I share tips and tricks for opening a coconut and the different tools you can use to prepare fresh coconut for your favorite dishes. Coconut is a ubiquitous ingredient in many Viet dishes but some folks are really reluctant to use fresh ones opting for the frozen kind instead. The frozen variety is super convenient but when I have the time, I like to use fresh coconut. 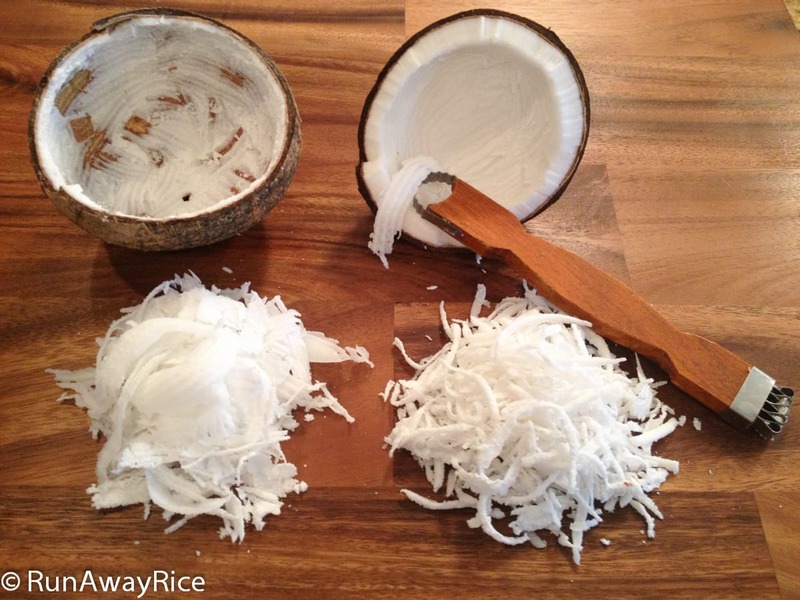 I love the aroma of freshly shredded coconut and cannot resist snacking on the fresh coconut meat when preparing it. If they’re on sale, I’ll buy 4 or 5, prep and freeze them. If sealed in an air-tight container or food storage bag, they’re good for up to 6 months. I hope you’ll give these techniques a try and share your feedback! Below are some recipes which are awesome with fresh coconut. This hand tool creates two different shreds and is an easy way to enjoy fresh coconut without having to remove the meat from the shell!